EMTs and Paramedics in Arkansas provide a crucial level of care to patients in the field. Paramedics offer the highest level of pre-hospital care. EMTs and Paramedics work together to provide respiratory, cardiac and trauma care-just to name a few things. They can expect to work with patients of all ages providing care to babies, children, teens, adults and the elderly. EMTs will also be trained in childbirth. Some EMTs, particularly Paramedics, can be trained to provide specialty care or to work with certain populations. For example, they might train in advanced life support for pediatrics. There are quite a few EMT training programs in Arkansas. The exact materials covered and the length of programs will depend on the EMT level for which the person is training, the type of program and the school/training center where the program is offered. There are certificate and even Associate Degree Emergency Medical technician programs. All EMT courses will include classroom as well as clinical hours. Students can look for training programs in a variety of locations. Many colleges, particularly community colleges have EMT training. Ambulance and other emergency services companies sometimes offer training. There are even hospitals that offer EMT training. 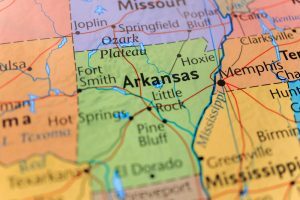 What are requirements for EMT Training in Arkansas? Candidates to become an EMT will need to find a state approved program. A program that is state approved will allow someone to sit for the NREM exam upon passing the class. The individual needs a high school diploma or equivalent in most instances. They also will need to be no less than 18 years in age. An EMT must be prepared to work out in the elements and in potentially dangerous and difficult circumstances. They will need to be able to communicate and interact well with other emergency and medical staff, the patients and loved ones of the people for whom they are caring. As an EMT, you can expect to be called out to scenes at any time of day or night (dependent upon your shift) and in any type of weather. EMT training classes will have lecture and other forms of classroom instruction. You will also receive some type of hands on training in the field or in some other type of clinical setting. There will be minimum hours that must be covered for instruction and direct training to be eligible to sit for the licensing exam. Some courses will cover much more extensive materials and take longer to complete. You will need to show up to date vaccine records prior to training. You will also need TB testing before you are able to work with any patients. There are dozens of EMT and Paramedic courses in the state. The course lengths and program structure can vary some from one location to another. Let us take a moment to examine a few. They offer an EMT training course as well as a Paramedic Program. The courses are among those certified by the state. The EMT basic course is for individuals who have completed a basic responder course and who are CPR certified. You will learn to provide basic level care to people who are ill and injured. This course is significantly shorter than the Paramedic program. You will also learn how to drive the ambulance to and from emergency scenes. The Paramedic Certificate course includes 50 credit hours of study. Students cannot enroll in this course unless they are already certified as EMTs. You will learn to provide a more advanced level of care in the field. This can include more skilled airway and cardiac management. If you wish to earn an associate level degree, you can take general education courses in addition to those required for the Paramedic Certification. Tuition Costs: The EMT Basic course costs around $1295. And the Paramedic certificate is around $6,361. Please note: fees are higher for out of state students. College Type: This is a two-year school with a couple campus locations. This school is part of the University of Arkansas system. The school has an EMT Basic class. This course includes three classes. These classes will provide the theory background and clinical/field training needed to work as an EMT. Students will learn about the human body, medical terminology and various emergency techniques. Graduates of the program can sit for the state licensing exam. Tuition and Fees:In state students pay about $67.25 for each credit hour. College Type: This is a two year school. The campus offering the EMT program is located in a small town. University of Arkansas Community College: This school offers an EMT program at their Morrilton location. Program Offered: This EMT course will require students to complete 18 credits. Students will spend about 120 hours in a classroom setting. Another 48 hours (or more) will be spent gaining clinical and field experience. Classroom studies can include lectures, labs, textbook studies and simulations. Tuition and Fees: Tuition and Fees are about $2562 for students within the district each year. Out of district students incur higher fees. College Type: This is a two year community College. Clinical training for EMT programs can take place in a variety of settings. You might work under the direction of your training supervisor in an emergency room. Other times you might do ride alongs with ambulance or fire service companies. Can I enroll in a Paramedic course before becoming an EMT? Most Paramedic courses will require that you already be certified as an EMT. Or that you become an EMT before moving on to the next level of the Paramedic Course. 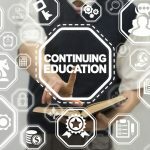 Do all EMT courses require classroom instruction? Yes. You need to study the theory behind emergency medicine. You will also need to learn medical terminology as well as some Anatomy and Physiology. Can I get help paying for EMT training? There may be options to help you pay to become an EMT. Look into financial aid and scholarship options for EMT’s. If you are unemployed or if you served in the military, you might qualify for some tuition help. What is the job outlook like for EMTs. Job prospects are actually quite good for EMTs. They can work for hospitals, ambulance services, private agencies and a range of other employers. It is often possible to receive training to carry out more advanced procedures as an EMT or Paramedic. What is the average pay for Paramedics? Paramedics usually earn about $32,000 in a year. Some Paramedics can earn more. In fact. Paramedics working in the private sector can earn significantly more.